This article by Melissa Siig first appeared in Moonshine Ink (2/14/14). The profile of Lake Tahoe is not a particularly attractive shape. It’s somewhere between a head of broccoli and a left footprint with a little tag hanging off the bottom left side. Yet the outline of the lake has surged in popularity in recent years, and entire businesses have formed around this one image. 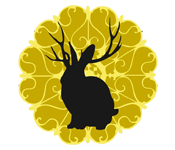 You can find the Tahoe silhouette emblazoned on necklaces, T-shirts, and stickers. It appears on everything from hats to tote bags to wall art. But why? The answer is twofold: Lake Tahoe’s beauty and uniqueness creates a strong sense of place that renders it both the perfect souvenir and badge of identity at the same time that pride of place has become trendy. Keep Tahoe Blue Businesses and nonprofits alike have been using the image of the lake for decades, and no one can lay claim to being the very first to slap the Lake Tahoe outline on a T-shirt or hat. The City of South Lake Tahoe, which incorporated in 1965, uses the Lake Tahoe silhouette on its logo, and so does the Tahoe Regional Planning Agency, which was formed in 1969. But no one can deny that one of the organizations that has helped to make the Tahoe silhouette a globally recognized image is the League to Save Lake Tahoe. The league has sold more than 1 million of its $1 Keep Tahoe Blue stickers, with its famous blue image of the lake, since the 1980s, and orders about 45,000 stickers each year. But even the league has noticed an increase in demand for products bearing its trademarked logo. It now sells all sorts of merchandise, from trucker hats to T-shirts. In November, when the league posted a picture of its new sweatshirt with the logo on the back on its Facebook page, the post went viral. It received 814 likes and traffic to the league’s website tripled that day. Royal attributes the growing popularity of its products to feelings that people associate with the lake. The Tahoe Brand If the League to Save Lake Tahoe helped turn the Tahoe silhouette into an iconic image, then it was Tahoe Made Attire that transformed the outline into a brand. Formed in 2010 by two North Tahoe High grads, Tahoe Made Attire made a name for itself with stickers of its logo featuring a black silhouette of Lake Tahoe in a thick circle and the words “tahoemade,” and its serape hoodie, where the Lake Tahoe image is made from Mexican blanket fabric. Tahoe Made has since expanded into a new line, the Desolation Collection, which has a different logo featuring mountain peaks, but the serape hoodie still accounts for 50 percent of its sales. Although Tahoe Made has branded its name and logo, no one owns the Lake Tahoe silhouette. That would be like trademarking the image of the Golden Gate Bridge. About a year and a half ago, her son Jonathon started making stickers featuring the outline of the lake in fluorescent colors, and also ones with the words “Tahoe” or “Local” written vertically inside the lake. Adams says she sees the stickers all over bikes, cell phones, laptops, and cars. Pride of Place Adams may be right in seeing a trend. 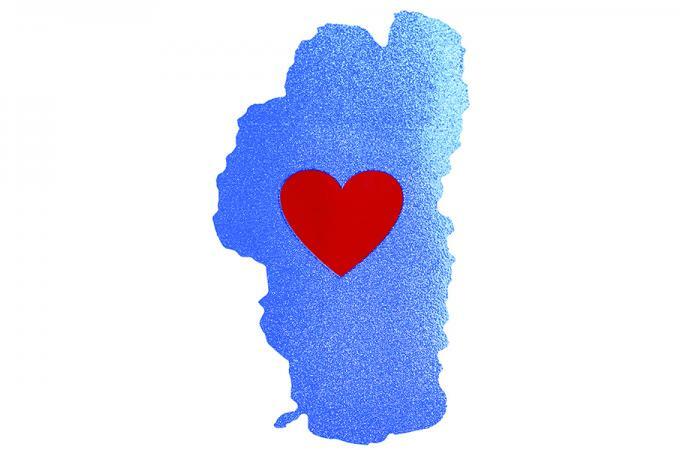 In 2010, Nick Herman started Lovin’ Lake Tahoe, which makes the now ubiquitous blue sparkly sticker of the lake with the red heart in the middle. He worked with graphic designer Chris Bucci, who in 2003 launched the popular Heart in Oregon bumper sticker featuring a black outline of the state with a green heart, which was inspired by the famous IyNY logo. Herman’s goal was to make stickers to pass onto friends, but the stickers caught on like wildfire. In four years, he has sold or given away more than 10,000 stickers and now also makes apparel like hats, hoodies, tote bags, and baby onesies. In January, his website crashed because of too much traffic. But Lovin’ Lake Tahoe may have hit the big time this month. One of Sports Illustrated’s four Olympic preview covers features snowboarder Jamie Anderson of South Lake Tahoe, who won gold in slopestyle, with a Lovin’ Lake Tahoe sticker on her board. Jewelry designer Krista Tranquilla has also noticed that pride in where you live is fashionable right now (remember the Nor Cal sticker?). Her Places We Love line, which is sold at Bespoke in Truckee, includes metal and copper necklaces in the shape of California, Nevada, Oregon, and Lake Tahoe. One of her most popular designs is a pendant with the shape of Tahoe cut out and the words “It’s going to be all right” underneath. She even made a custom piece of the Lake Tahoe cutout over the phrase “Will you marry me?” for a marriage proposal. And the Lake Tahoe outline is appearing in a lot of different art forms. Trunk Show in Tahoe City showcases eight different artists that use the shape of the lake in their work, which range from light switch plates to mugs to acrylic paintings. Truckee artist Sara Zimmerman says that her Tahoe-based prints are her best selling pieces, more so than her abstract or whimsical art. Artist Ben Rodgers, who sells his Plexiglas paintings at Trunk Show, says that 98 percent of his work is Tahoe-related.